Each year in April, individuals and organizations across the United States and around the world celebrate National Volunteer Month to honor the important impact volunteers have in our communities, and to encourage even more people to start volunteering. 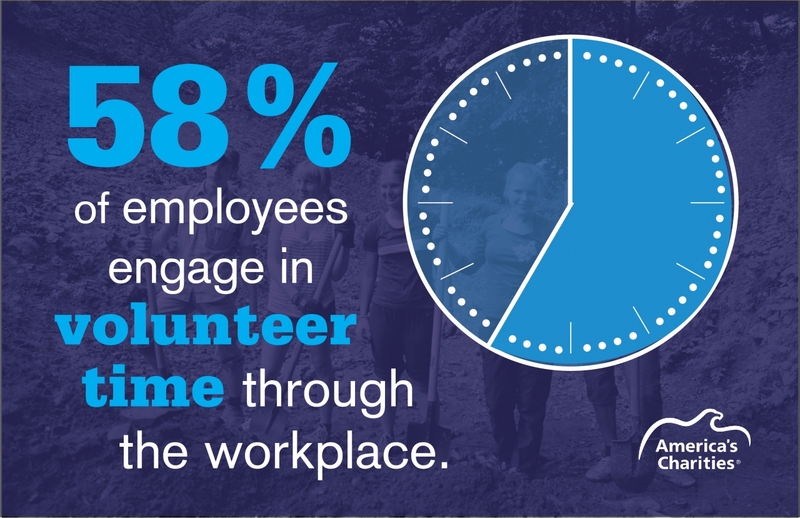 Many businesses in particular set aside time for team volunteer days or encourage employees to leverage paid volunteer time off to support the community during Volunteer Week, which takes place April 7 - 13 in 2019 (and April April 19-25 in 2020). Interested in Implementing an Employee Volunteer Program?